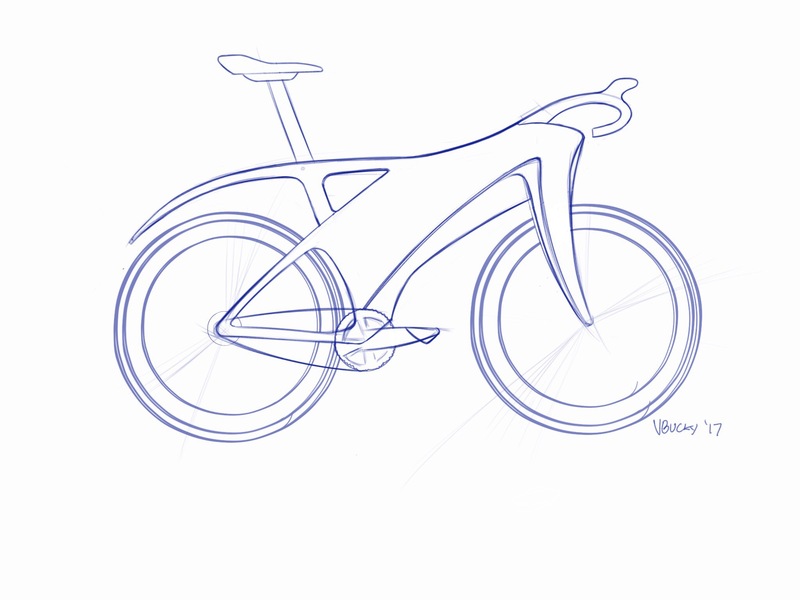 Some linework for a bicycle design that I have been working on for a while, in the background. The bike is a mixed up, a combination of an all season aero inspired road bike, but interestingly the fork, headset area has some strong design language that give it an “S” Vibe. After going through a lot of configurations and geometry tweaks I decided on some classic road wheelbase, I’m imagining that the frame is carbon and the integrated rear fender is cleverly detachable. I played around with the large mid surface and breaking it up a bit, but ended up liking the full encapsulated style, maybe an area for branding but a vey visually different and future style. Sort of reminded me of the Trek Y bikes when they came around in the mid 90’s and how striking they were.